Digital Citizenship Wrap-Up: The Race is Done! Below is my culminating project! I am so excited to share! Make every click count and be a great digital citizen! Attached below is my reflective essay. I hope you enjoy my thoughts and ideas! This class has been one of the most challenging in my opinion, however I have absorbed so much from this class. Digital citizenship was a foreign concept to me. I really didn’t know what to expect when I first heard the term. After reading all the material about digital citizenship, I am cognizant of what it means now and the significance. The nine elements should be taught in all schools and shared with parents. They lay a great foundation of using technology appropriately. I learned that there is so much more than digital etiquette. Norms are important; however, you must be aware of the other aspects of using digital devices. I contemplate one of the most shocking aspects of digital citizenship was the health effects. I recognized staring at the computer could have health effects, but you should also consider ergonomics of your chair and more. It’s difficult to determine one accomplishment in this course. If I had to choose just one, it would be creating a PowToon’s video. I have never created an animated video. It was fun to animate what I learned, showcasing a different way to provide evidence of my learning. As I stated above, I felt this was one of my most challenging courses. I think the course load and the amount of time to complete the work is overwhelming. I understand this is graduate level work and is designed to be challenging and thought provoking. Many times, throughout the course, I felt extremely stressed, having to take off days from work to get the assignments completed. My best work in this course were the weekly reflections. The reflections presented me an opportunity to look back over the week and pinpoint specific take-aways. For example, the week about copyright laws, I trust I learned the most. I spent the beginning of the week trying to digest all the new information, most of the time confused. However, by the end of the week, I was able to reflect, gather my thoughts, and in the end, I ascertained a lot more than I gave myself credit for. I relished adding resources to my reflection and ultimately to my e-portfolio. This course provided me with many applicable connections. I have confirmed my understanding that time management is extremely important. I have also learned the great importance of copyright. In my previous reflection I discussed how I unknowingly violated copyright laws. I am able to pass this knowledge on to others. As a matter of fact, I shared it with my mentor, the Principal/Superintendent of the school. She took was shocked by the information that I was able to glean from that week. Being an administrator at a charter school, the most meaningful thing I learned was that cyberbullying can take place at any age and affects so many children, even if they don’t divulge that information. I was oblivious that this very thing could be happening to my students. That was not a good feeling. This class was full of information. There is not one topic that won’t contribute to me being a better leader. Every week was full of new information. One of the things I know that I will be watching is net neutrality. This was a completely foreign topic to me but was making headlines that I never paid attention to. From this, I learned I must be aware of topics that can affect me, even if I don’t watch the news on a daily basis. My favorite aspect of this course was the discussion board. I appreciated the weekly prompts and sharing my thoughts. It was interesting to see read what others had to say and see if they shared common thoughts. One of my favorite prompts involved the video of Monica Lewinsky. I had never viewed things from her perspective. This gave me a new outlook on the entire scandal. Suggestions that I would give other students for this class, is to dig a hole in the ground and bury the word, thought, or idea of procrastination in it. This course does not allow time to lollygag. I would also tell them to take time and enjoy the readings and work ahead as much as possible. If I could change one of the activities, it would be the case studies. In my opinion, the directions and expectations were unclear. When I submitted the assignments with the case studies, I was not confident that I answered the questions or met the expectations of the assignment. I would provide clearer expectations and more details in the case studies. Some of them lacked a lot of information, which caused me to do more research on the case. This is turn took time away from other components of the overall assignments. I would tell my friends that I found this class stressful with the amount of work it calls for, however there is a lot of valuable information to be obtained. The amount of resources that are provided are helpful when completing the assignments. I had to learn in the course to pick certain articles to read or videos to watch. It is nearly impossible to read, watch, digest, and complete the assignments with excellence. That was a hard thing for me to do, because I didn’t want to miss any valuable information. This week was full of empathic thoughts. It’s painstakingly perplexing to comprehend that the world is full of malicious behavior. That behavior has found its way to a platform that was designed to share information expediently yet has been exploited. I was not oblivious to cyberbullying and bullying nonetheless was not aware of the many victims affected by these behaviors. It is heartbreaking to be cognizant of the statistics surrounding bullying and cyberbullying. The statistics of cyberbullying were mind blowing. I can’t believe how many kids are subjected to cyberbullying or have participated in cyberbullying. From the readings I ascertained that most parents are oblivious to negative online behavior. I know this to be true from experience. As an administrator, we have to tell parents to make sure they check what their kids are watching or participating in online. We have had tell them of different chat apps to be weary of. Many are thankful and disturbed of what they discover their kids are involved in. All of the stories this week I read were tear-jerkers. The Ryan Halligan story was especially surreal and appalling all at the same time. It is unfortunate that it took Halligan taking his life to propel legislation into action. Many of the bullying laws were enacted after this tragedy. Laws seem to come into action after a travesty has occurred, yielding reactive measures instead of preventive, however eventually become preventive. Cellphone users are getting younger and younger, creating their digital footprint and accessibility to any content on the internet easier, therefore increasing their vulnerability to become a victim or cyberbullying or participate in cyberbullying. I have witnessed children at my school with their own personal cellphones in PK. The need for understanding what cyberbullying is more vital than ever. The video that we watched this week of Monica Lewinsky was eye-opening. I admit, my initial thoughts molded by what was portrayed by the media was that Lewinsky was a home-wrecker and many other profane words. I never considered her side of the story and how the scandal affected her. I can say that my perception of her has truly changed. I didn’t know that she was 22 years old when this happened. I can’t imagine if my mistakes at 22 were aired for the public to judge and make speculations of my personal morals and character. I commend her for standing up and sharing her story. I know that took a tremendous amount of courage to relay her feelings and what transpired. I also learned this week that there are different types of cyberbullying. Hinduja and Patchin discussed in their book several types of cyberbullying. One of the new terms I learned was “flaming”. This refers to sending or posting ill-spirited messages meant to strike the nerves of others. The example that was shared in the book was quite disturbing. However, after reading the example, I was able to make a connection. I have witnessed this type of behavior when reading comments of posted videos or blogs. I would just think the comments were mean, now I know there is a term for this type of behavior. This week has really shed light on the need of preventive programs for bullying and especially cyberbullying. As an administrator, I want to evaluate the effectiveness of our current bullying programs. I want to ensure that we have measures in place to address cyberbullying. https://www.stopbullying.govThis website has information on bullying, cyberbullying, and prevention measures. http://www.bullyingstatistics.orgThis website has statistics and facts about bullying. The facts and statistics are quite eye-opening. https://cyberbullying.orgThis website is dedicated to cyberbullying. There is information on laws, facts, prevention, identification, and tons more! This week, I have learned so much! I had a very general knowledge base of copyright laws. I had no idea that is so vast and include so many components. At the beginning of my learning and research, I was extremely confused. I am still confused on some of the components such as Creative Commons. There is so much literature out there, it is hard to digest. The first factor includes whether or not your work is transformative. This means is the content you are using will be used to enhance or add meaning to your original thought or idea. I believe educators hang in this realm of transformation. This is because we use information to provide facts to enhance learning. One of the greatest lessons I learned this week was about movies in the classroom. Who hasn’t watched a movie in class before. I didn’t realize that movies cannot be viewed in the classroom unless it is directly related to content being taught. Teachers are unequivocally guilty of this practice. I know I am! I have shown movies while I was a teacher during class parties as reward. This is a direct violation of copyright laws. When showing movies in class for reward purposes, permission should be acquired. I realize at the beginning of this reflection, I stated was still confused about Creative Commons, I am, however I did discover there are numerous distinctive licenses that can be obtained. They type of license attached to the content determines how it can be used. I presume I am still unclear on why one would choose one license over the other or which one is best. I have used images and literature without providing proper attribution over the course of my many years as an educator. I had heard the term, public domain, but was oblivious of its meaning. It is refreshing to know that I did somewhat abide by some laws! Images and literature provided by the government are part of the public domain and are subject to copyright laws. The knowledge learned this week is quite overwhelming. To think I have violated laws is a little unsettling. I am not sure who said it, but my mom always told me, “If you know better, you do better.” This is definitely true when it comes to copyright laws. Because it so easy to violate laws you may not be aware of, I have listed some resources to help understand copyright law and its components. This is just a few resources. Don’t be afraid to dive in. There are so many videos, literature, and websites available to better help understand about copyright. I know I am far from understanding the vastness of this topic! Just when I think I have a good understanding of technology and the many facets, I am hit with new learning. This I am grateful for. This week, my learning was quite vast. I know how dependent I am with technology and how many others are just as thirty and ravenous for it. I was also aware of how important a positive digital footprint is and how it can greatly affect your life, whether personal or business. What was completely new information to me was net neutrality. This was a completely new term to me and I became instantaneously intrigued by the concept. Being someone who doesn’t partake in news daily, I am aware that many life-changing and important issues have the opportunity to pass me by. Net neutrality is one of those things. Net neutrality is not a new conversation at all. Wikipedia (2018) defines net neutrality as the principle that Internet service providers treat all data on the Internet equally, and not discriminate or charge differently by user, content, website, platform, application, type of attached equipment, or method of communication. Reardon (2015) sums it up by saying, net neutrality is the idea that all traffic on the Internet should be treated equally. I was so oblivious that my use of the internet as I know could possibly be in jeopardy. Learning about net neutrality revealed to me that I needed to pay more attention to what is going on in the world and not take for granted what I viewed as a basic right. I would have never imagined that Internet providers wanted to control our access to the internet. I also would have never imagined that the government, the FCC conducted precedings over these desires. In 2015, the FCC passed laws prohibiting ISPs to charge extra for speed or block legal content. However, in 2017, there was a vote that repealed the regulations that were put in place. Reardon (2017) suggests, “Without FCC rules and oversight, broadband companies, at least in theory, could limit, restrict or manipulate the types of services and voices you experience online.” ISPs have committed to not limit or restrict services, but the point is they could if they so choose. As I continued my research into net neutrality and reading an article by McMahon (2018), I learned that this could have a major impact on education. I was amazed to learn that allowing ISP’s to control internet speed and cost could potentially stunt the growth of students learning online as well as technological innovations, was jaw dropping. Education has made tremendous strides with technology with many schools now having the capability of one to one devices and totally online programs. Supporters of net neutrality argue it’s about freedom of speech, I agree. My eyes are now clearly open about net neutrality. The more I dig, the more information I find. Cnet has several articles about net neutrality. I intend to read and learn more as well as keep up with the changes that may come from this appeal. I can’t take for granted my access to the internet. Below is a video that I created using PowToons. This was the first time that I have created an animated video. This was a challenge when I first started, however, once I figured it out, it became a little easier to navigate. I am sure that I just scratched the surface of creating animated videos, but I am proud of my little feat. I hope you enjoy my creation. This video is about the effect of smartphones and digital citizenship. Week one for Digital Citizenship was eye-opening. I didn’t know there was a such thing as digital citizenship or that there is so much information out there. Digital citizenship is a necessary component for everyone, especially students to know and understand who engage in the digital, virtual world. Ribble discusses the nine elements of digital citizenship in his book: Digital Citizenship in Schools as well as on his website-http://www.digitalcitizenship.net. I thought it was interesting that Ribble categorized technology users into two groups: “digital natives” and “digital immigrants”. These are such interesting terms and pretty accurate categories. Digital natives are individuals who have been born into technology and use it in their everyday lives. Digital immigrants are individuals who have to learn how to use technology. 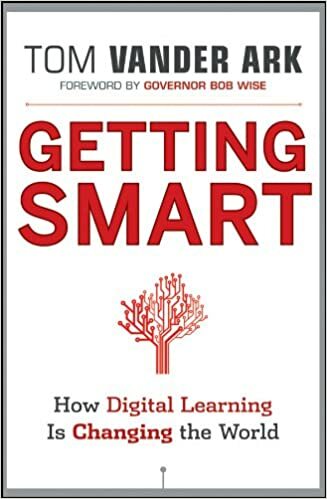 Ribble discusses, “digital citizenship is not a new concept in the field of digital technologies.” As I read on in the book, I understood what he was conveying. It is about the social norms and ways to behave appropriately when using technology. The internet is by far not the first technology. It is however, the technology that is heavily relied upon and used across the world for a plethora of means. Ohler’s article speaks volumes when it comes to digital citizenship. He asked the question, should students live two lives or one? When I first began reading the article, I thought to myself, what is he referring to? As I read on, I thought, “Wow!” Students should definitely live one life. Students need to be taught the importance of behaving appropriately online at school as well as at home. I think it is unrealistic and unpreparing to have kids totally unplug at school. Schools should have the responsibility of teaching students how to behave appropriately online and why it is important. 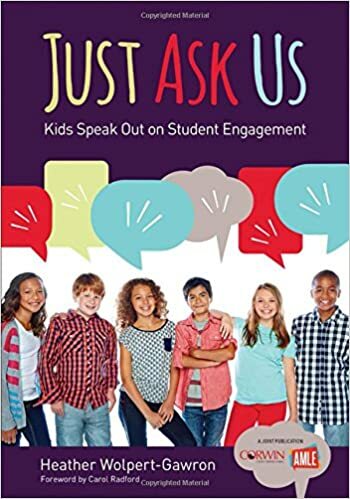 Most schools have Acceptable Use Policies as Ribble discussed, however they fail to create curricula that help students understand acceptable behavior and norms. I know at my school we have an AUP, however we don’t teach students about acceptable behavior online and why it’s important. I believe there are many people out there who feel these norms are common sense and don’t see the need or importance of teaching such curricula. This is a terrible assumption to have, and I will admit, I was in that bunch until reading the materials from this week. Ribble (2015) said it best, “Technology leaders should not assume that their policy, simply because it is in place, is helping students.” Cyberbullying, illegal content, scams, and other inappropriate behaviors are not going anywhere anytime soon. We can help our students recognize these things and how to stay away from them. With digital citizenship, that is the focus, helping students. The development of the nine elements was created to help schools help students. The nine elements are a proactive approach versus a reactive approach. Students can be susceptible to many behaviors in the virtual world if not taught how to avoid, respond, or act appropriately online. The digital world is full of awaiting opportunities from sharing information, research, commerce, and so on. It is our responsibility to make sure those opportunities are reached in a safe manner. Now that I am aware of the importance of digital citizenship, it is my responsibility to bring this knowledge to my school and our students. http://www.digitalcitizenship.netMike Ribble’s website really delves into what it means to be a digital citizen. There is a page dedicated to the nine elements. iste.org and search the tag digital citizenship. There are some great articles listed that discuss how teachers are teaching digital citizenship. There are also articles about students becoming successful digital citizens. Youtube-searching digital citizenship. There are so many videos out there about digital citizenship. This would give them an opportunity to see it action. https://www.commonsense.org/education/digital-citizenshipThis is a phenomenal website with a plethora of information about digital citizenship. This website also has free lessons for each grade level about digital citizenship. Brainpop.comSince our school already has a subscription to brainpop, this would be a great resource for teachers. I know brainpop is supposed to be for students, however I have found that I am able to learn a lot from the videos as well. Blended Learning is a trending learning model to help students succeed in their learning. Today, as educators we are tasked with engaging the 21st century learner. Direct instruction and lectures are not enough. We don’t get rid of those traditional models, we enhance them with technology and other tools that we now have access to. I have ascertained that LEARNING is the primary focus for students. There are many tools out there to help meet this goal. Dr. H has drilled this concept and I think I finally got it! 🙂 Thank you! Check out this short video to peak your interest! I am proposing some pretty innovative concepts for my school. I believe these models will be extremely beneficial to our students, parents, and teachers. I hope you enjoy reading this proposal. Because I really believe in this proposed project and this is something that I want to see happen at my school, I really dove into researching supporting articles for the Flipped Classroom and Station Rotation. These are concepts that our school has been interested in for awhile, but had’t had success in follow through. My goal is to make sure this project is carried out and given time to be successful. Click on the image below to experience my Literature Review. The information provided in the review is a mere piece of the supporting information for Blended Learning. Enjoy!!!! Once I began researching, I felt like I couldn’t stop. I am amazed at how much information is out there about blended learning and the insane results that are being generated. My goal is to be a resource to my campus as we implement this project. How can I do this? This is only possible by keeping myself knowledgeable of the vast amounts of information that is available at my fingertips, whether it is from videos online or more literature. Here are some more videos about blended learning and how elementary schools are currently using the flipped classroom and station rotation. This video focuses on the why and how of the flipped classroom model. This video shows you how the flipped classroom has worked in an elementary school. Another model of blended learning, focusing on station rotation. I like to learn from others, there is so much research out there about blended learning. I am learning that this is really not as new of a concept as I originally thought. Here are some books that I plan to read or listen to the audiobook if available. I have become a audiobook fanatic! I am really intrigued about this book. Tucker is also featured in the youtube video about blended learning above. She discusses the station rotation model. This book focuses on increasing student engagement through the use of blended learning, using technology as a tool. Who doesn’t want to get smarter? Ark discusses why students should be exposed to digital learning. This is where our world is headed. We need to be on the side of preparing our students for the future. It appears he shares stories of success as well. What better way to find out what students expect in school! This book is full of student quotes and what they want in a learning environment. It will be interesting to see the different perspectives of the many students surveyed. JUNE 23-26, 2019: This conference seems like a digital educator dream. ISTE is responsible for digital learning standards and is a great resource in the digital education world. 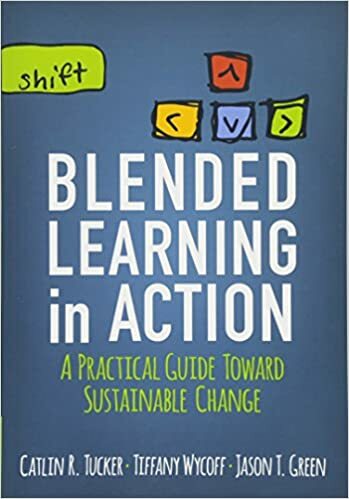 APRIL 4-6, 2019: An entire conference on blended learning! This would be a great opportunity for the pilot teachers of the blended learning program to get some valuable information and exposure to how blended learning is working across the nation. We have the ability to truly engage our students with authentic learning experiences. Keeping our focus on student learning will greatly benefit all stakeholders involved. We want to be able to plant in students the capability of true problem solving and critical thinking. We also want to prepare them for the future. Technology or school are not going anywhere anytime in the foreseeable future. Let’s use these two tools to increase student learning! Survey Parents to identify their technology capabilities at home-internet and devices available. Committee will review and analyze results from surveys. Committee will review current online platforms teachers have access to that are part of curriculum subscriptions. Review these platforms capability of meeting the requirements of the blended learning program. Committee will discuss the platforms we are proposing to use. Presentation will include benefits of blending learning. Demonstrate the use of the selected platforms. Presentation will feature a Q&A session. Evaluation tool of presentation from teachers. A parent meeting will be conducted to inform them of the blended learning program. Benefits will be discussed as well as prospective results. Q&A session will be held during parent meeting. STAAR testing grades will pilot the program in Math and Reading. Students will take assessments to determine individualized paths. Begin Station Rotation in Daily and Friday RTI time. Use platform to assign student instruction via videos. Students and teachers will recieve instantaneous feedback on progress. Monitor student progress from individualized reports. Assist teachers with differentiating instructional activities. Assess students with bi-weekly CBA’s. Meet with students to assess their feedback and the feedback they have received from the individualized learning reports. Meet with pilot teachers weekly to receive feedback on the program. Set aside time for pilot teachers to meet weekly to support each other. Set-up classroom observations for teachers not in the pilot. Teachers will have the opportunity to observe how the program works. Set-up collaboration meetings so pilot and non-pilot teachers have an opportunity to discuss pros and concerns of the program. This will be an opportunity for non-pilot teachers for questions and answers. Send home bi-weekly progress reports from individualized learning reports. Surveys will be issued to pilot teachers, students, and parents. Surveys will target feedback for ease of program, student progress, as well as open ended questions for other comments or concerns. Results from surveys will reviewed by the committee and the Principal to make necessary changes for the upcoming school year. I look forward to your comments and suggestions. This is a very rough draft of what I was thinking. Attached is my Blended Learning Proposal for my school.